Collaboration, innovation, productivity and employee wellness are on top of a lot of employers mind. 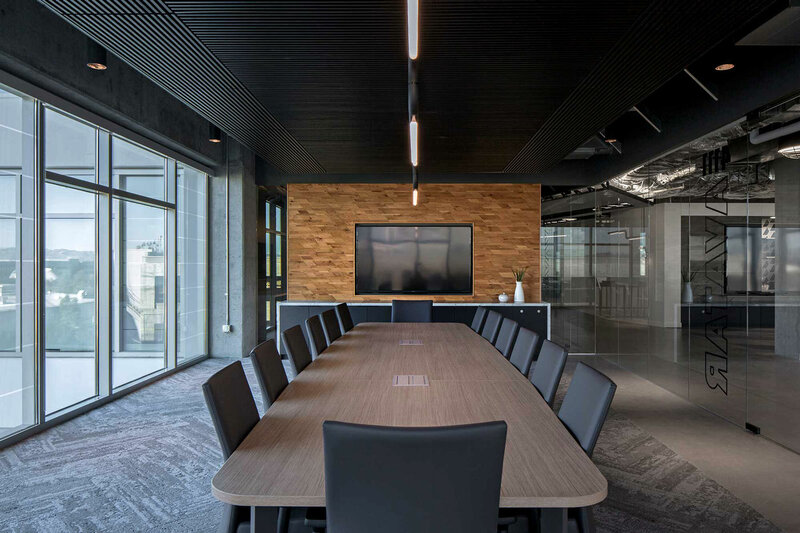 Companies are revamping their workplaces and integrating new design concepts to foster a productive climate while supporting their employees with warm and familiar styles. The result is the merging of residential and hospitality trends, and bringing them to the workplace. This term gained traction several years ago and describes the movement to bring residential-minded design concepts and home-like furnishings to the commercial workplace. In order to attract and retain talent, designers of office lobbies and shared work areas are taking cues from your living room, featuring couches, armchairs and unique auxiliary pieces, for a welcoming ambiance. This creates a sense of comfort, enabling employees to be better productive. This term is just starting to gain traction and describes the integration of hospitality amenities and design concepts into the workplace to create a casual but sophisticated atmosphere; similar to a stylish hotel. HOK references this term in their 2018 Workplace Trends + Research Report, defining corpitality as “a new hybrid of corporate, residential and hospitality space.” The trend reflects an effort to establish an office that is engaging, colorful, and flexible. The goal of both these concepts is to produce human-centric environments with a bit of personality in order to spark collaboration among coworkers. These customized workspaces serve as a focal point and boast award-worthy designs. 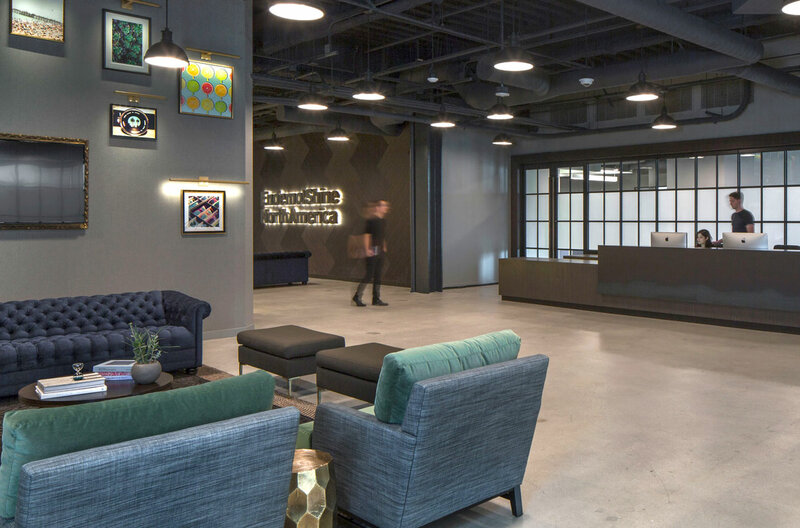 Read how we turned the Aftershock Games’s meeting hall into a space that feels more like a boutique hotel lobby than a corporate conference center. The take-away here is that these new trends indicate a positive direction for workplace configuration. As companies compete in a highly saturated hiring market, they are using design to shape a collegial workplace for employees to thrive in. They are breaking up the monotony of cubicle layouts and balancing private workspaces with communal areas; ultimately, creating a happier, more productive workforce.